I remember that Saturdays were a big horror day for me as a kid. CREATURE FEATURES was the Holy Grail for me when I was younger. I had to make sure I got my rest during the day so I could keep my eyes open long enough to watch it. 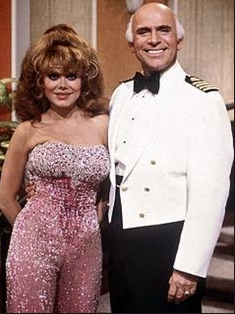 Then after the Love Boat was FANTASY ISLAND which was my gateway vehicle into the likes of THE TWILIGHT ZONE and THE NIGHT GALLERY a bit later. CREATURE FEATURES. This was the best thing in the world. The opening montage of horror goodness followed by the most excellent Bob Wilkins and his cigar with his fantastic, deadpan voice and blank stare. 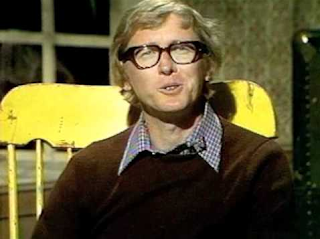 I also stared in horror as the NIGHT OF THE LIVING DEAD trailer was presented one night by ole Bob. The damn thing scared the crap out of me and still fills me with dread when I hear those discordant piano cords! There was one that I recall the visual for, but not the name of, where a man dressed in a white gorilla suit played music on a Victrola that was next to him on a little stand, then he'd do these odd little dances to begin the show. As the movie went on, he'd do little skits that were related to the movie, I believe. There was the CHILLER DILLER movie that had another fantastic little 70s opening that I loved. KBHK had the GHOULIE MOVIE in the 80s which was another good horror outlet. A lot of these sorts of shows went by the wayside with the advent of VHS and cable programming. The idea of being able to go to the store and rent full movies to take HOME and watch was epic. I remember a friends parents actually purchasing the first VCR in the group and us flocking to his house for movie parties that would last all night. When we all made VCR purchases, we would round robin the movie party location and make an effort to have one every two weeks or so.